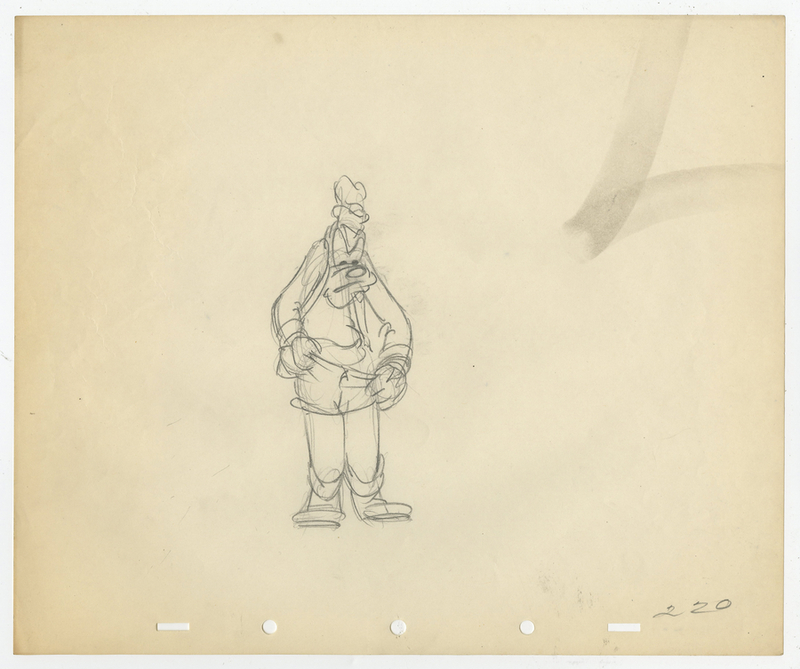 This is an original production drawing from the Walt Disney Studios production of Billposters (1940). 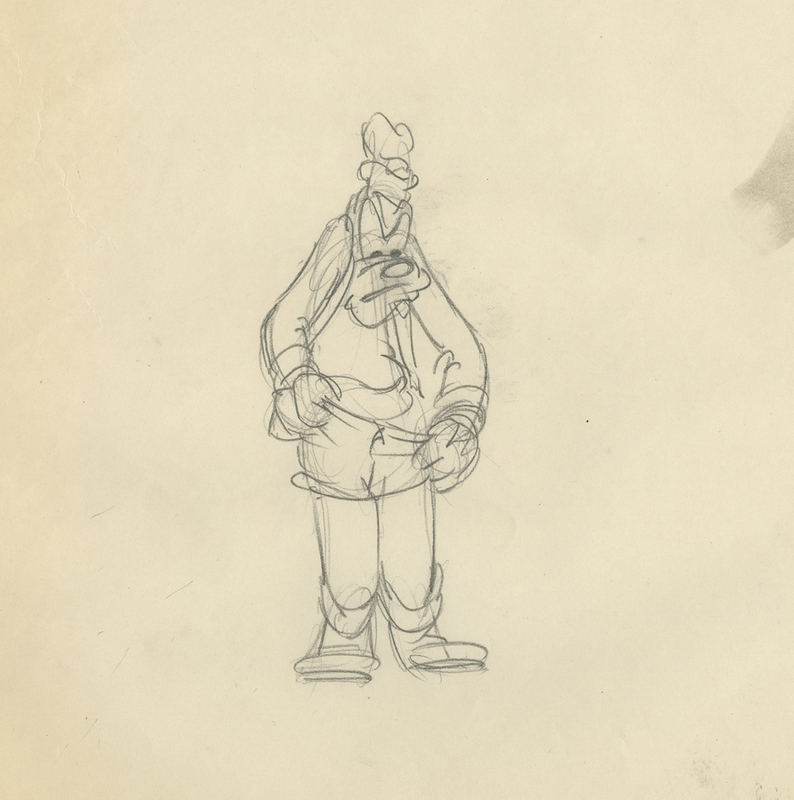 This drawing features a very frustrated Goofy trying to remove a poster that has become stuck around his waist, and was created at the studio and used during the production of the film. The overall measurements of the piece are 10" x 12" and the image itself measures 5.5" x 2.25". The drawing is in good condition.